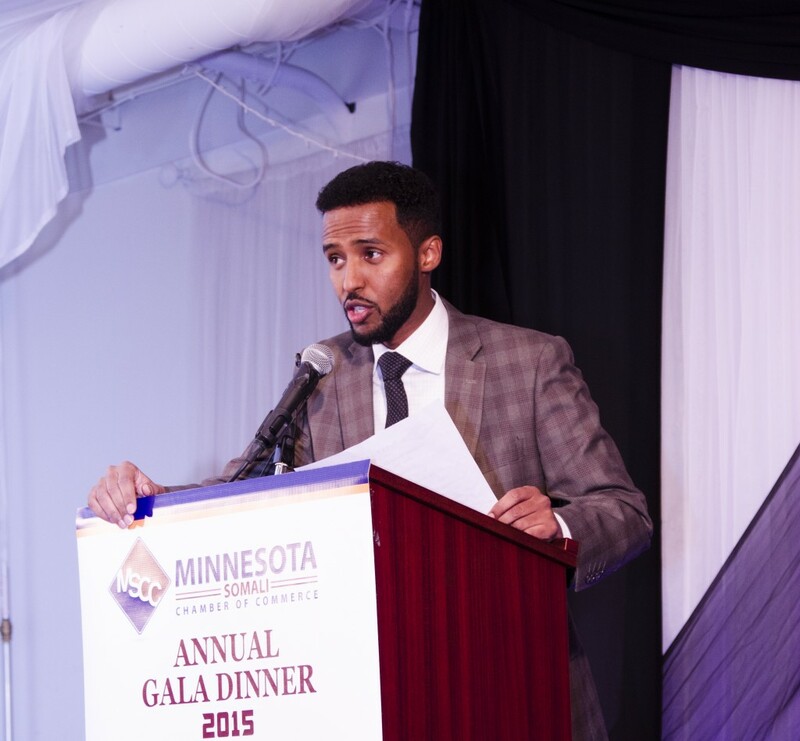 MINNEAPOLIS – The Minnesota Somali Chamber of Commerce held its first annual celebration dinner Saturday at the Safari Restaurant in Minneapolis. 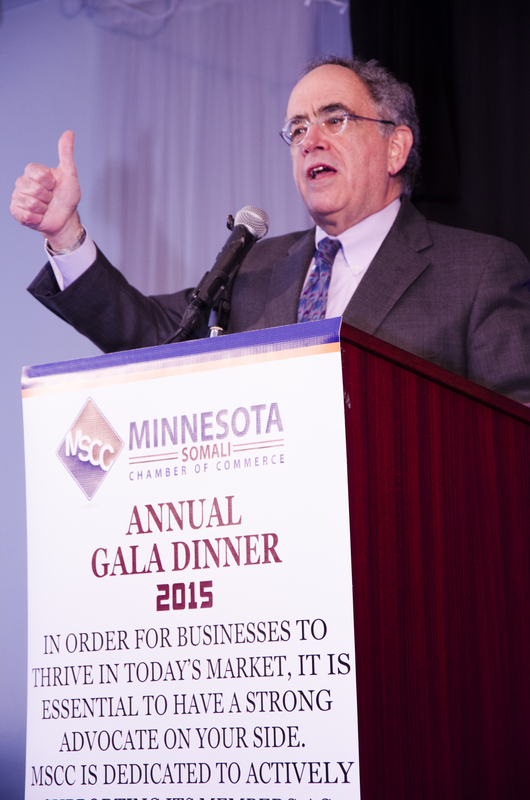 Bill Blazar, interim president of the Minnesota Chamber of Commerce, and other distinguished guests attended the Somali chamber’s gala dinner to celebrate and mark its achievements. 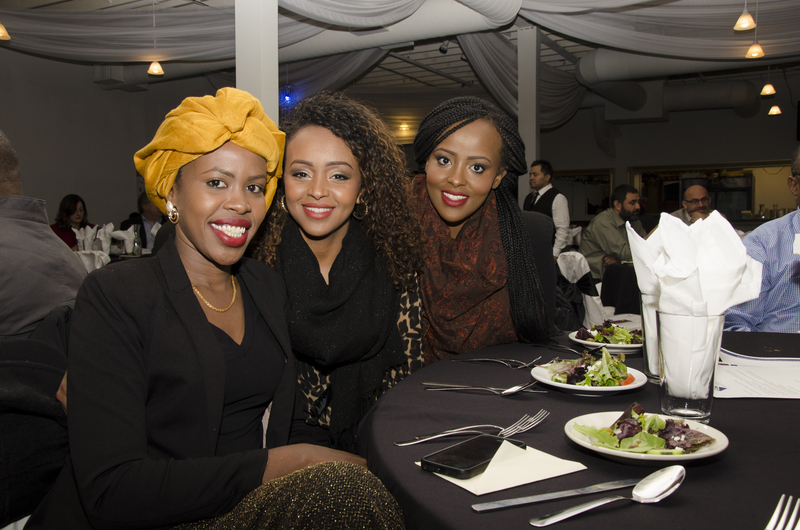 Despite a slow start of the night, guests enjoyed the evening dinner and the dynamic interaction. Some of the dignitaries attending the event included Dr. Bruce Corrie of University of Concordia St. Paul, Faruk Cingilli, president of Turkish Somali American Friendship Association, Nasibu Sareva, executive director of African Development Center, as well as Unity Cooperative Council’s executive director Hussein Khatib. 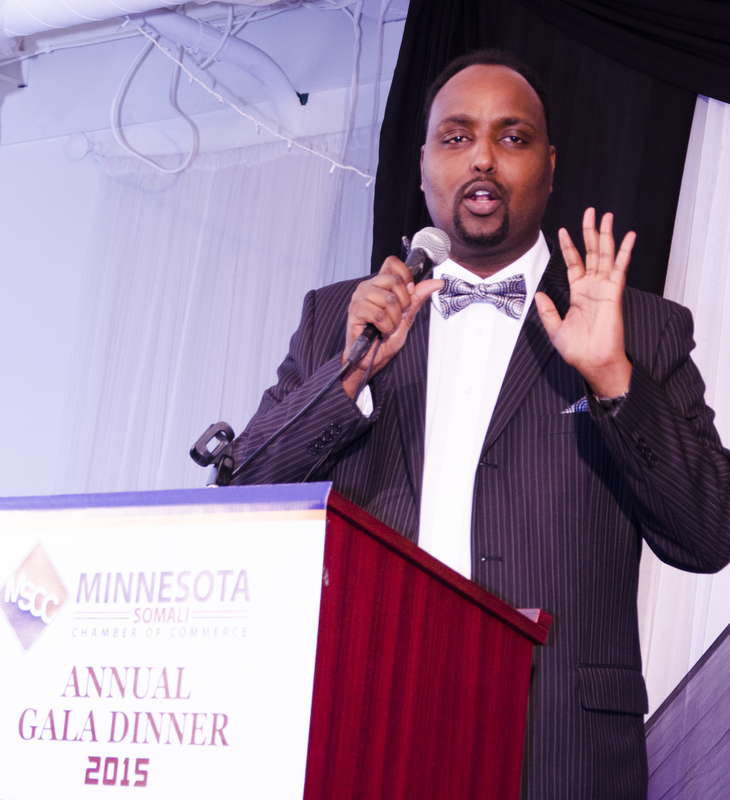 Mohamud Beenebeene, executive director of the Minnesota Somali Chamber of Commerce kicked off the gala dinner by thanking all the parties that have contributed to the chamber. Speaking mostly in Somali, Beenebeene shared the chamber’s history and achievements and outlined visions of the chamber going forward. 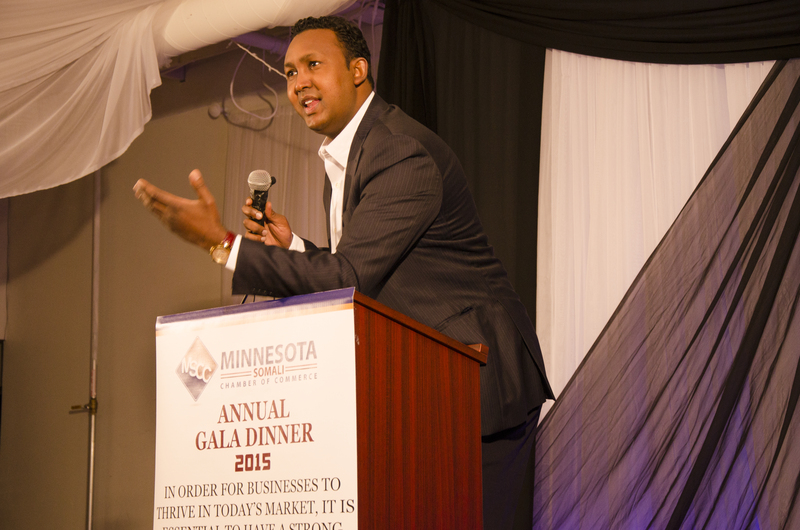 The Minnesota Somali Chamber of Commerce was conceived by a group of business women and men in June 2013 and was launched in 2014. 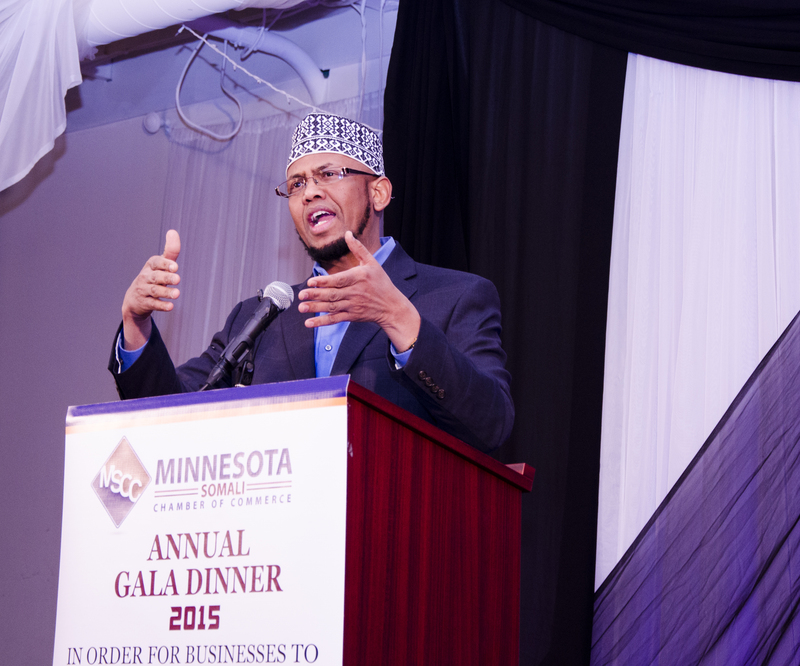 It represents more than 210 Somali businesses in Minnesota. The members of the Minnesota Somali Chamber of Commerce embraced many state officials in helping to promote the chamber. Among the officials mentioned were Mayor Betsy Hodges and Representative Keith Ellison, D-Minn.
Hodges and Ellison were not in attendance. Some of the sponsors of the chamber are Afro Deli and Catering, Family Care and Transportation, Medina Realty, Olympic Money Transfer, AMA and African Development Center. Farhiya Farah, a trained researcher based in the Twin Cities delivered a captivating and powerful speech. In her remarks, the young woman spoke passionately about Somali business women’s contributions and challenges in the society. “We have been exposed to an environment with difficulties and yet we succeed,” she said, looking at the crowd fiercely. Farah’s speech was one that shook the crowd and reminded guests about the importance of a woman regardless of her ethnic background. Her heartfelt remarks earned her applause and a standing ovation from the cheering loud crowd. Blazar, accompanied by his wife Mary and other members of his Chamber, took the stage to address two key points: building businesses and Minnesota’s economy. Blazer discussed the gains of the emerging workforce and how it contributes to the economy. “Immigrants are key to supplying the workers at all levels of skills. Somalis participate and contribute critically to the workers shortage our state faces,” he said. 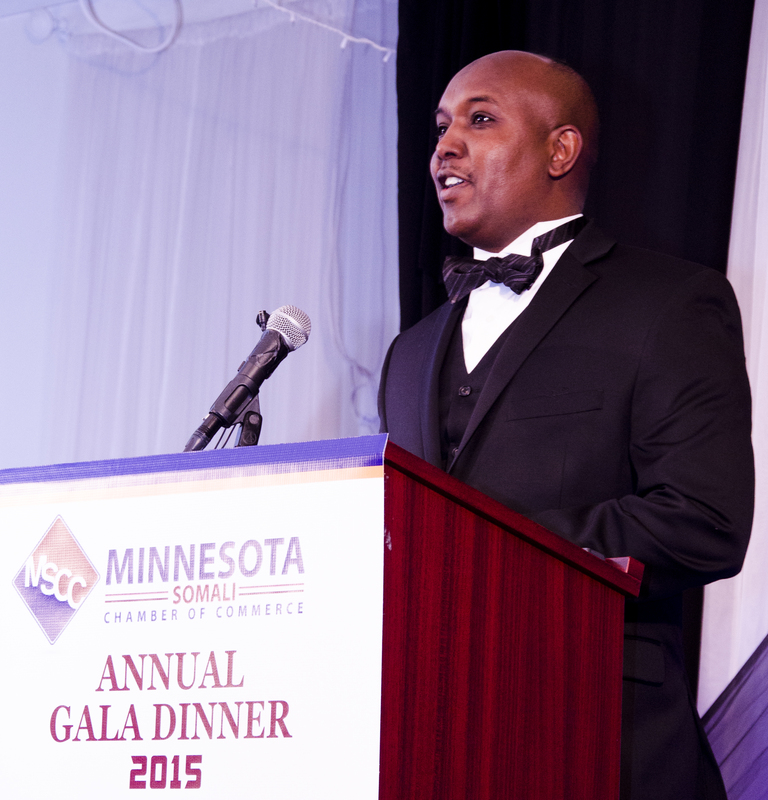 He advised the chamber on how to grow successful businesses in Minnesota. Blazer urged the chamber to follow the model of the Minnesota Chamber of Commerce in order to develop and grow businesses: advocacy and working one-on-one with businesses. Blazar shared his worry about the state’s economy and some of the unchanging traditions in the last century. He emphasized the importance of new entrepreneurs and their growing impact on the state’s economy. “The businesses that have done well here have started here. In the next 20 years your entrepreneurship spirit will grow this economy substantially.” he said confidently as he gazed back-and-forth over the crowd. 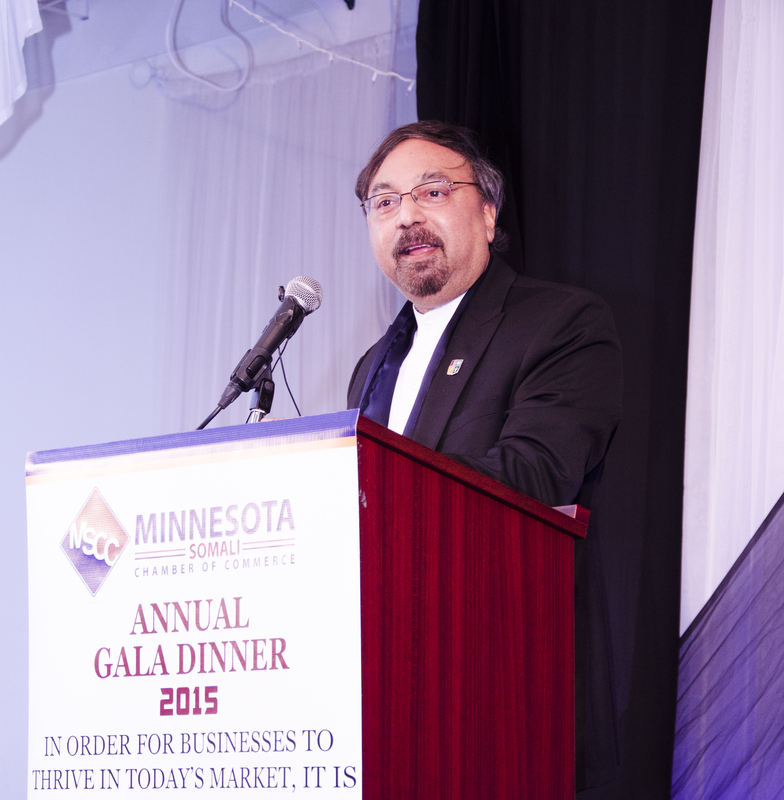 Blazar highlighted the growing significance of the African market and ways the Minnesota Somali Chamber of Commerce can help to lobby for the African community. Thinking about the link to Africa, “Somali businesses people here in Minnesota understand the culture and know the language,” he said. He concluded by reassuring the crowd that his chamber will help the Minnesota Somali Chamber of Commerce advance entrepreneurship and be a bridge to the growing African economy. 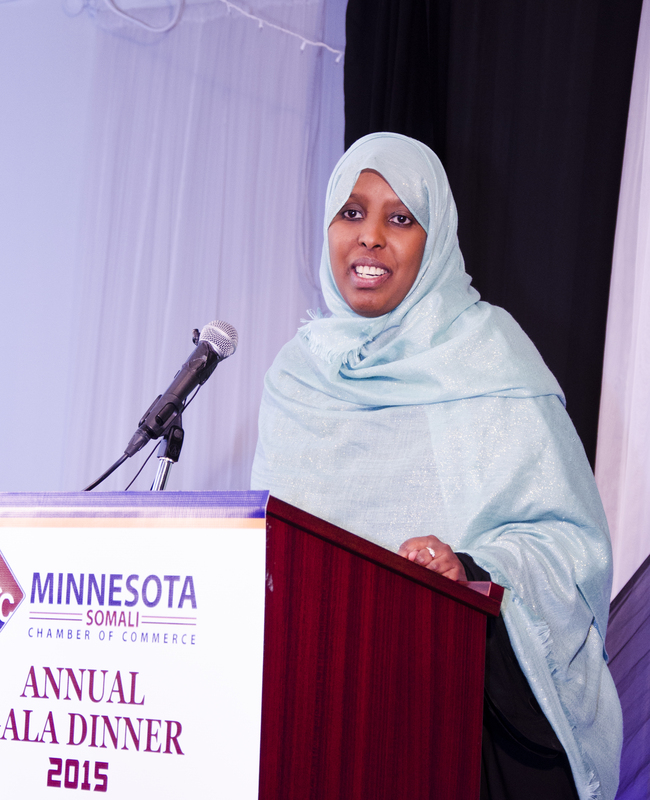 Sarah Radosevich, policy research analyst for the Minnesota Chamber of Commerce was convinced that the formation of the Minnesota Somali Chamber of Commerce will help bring unity to the Somali business community. “This (Somali) chamber will make it easier for Somali businesses to be heard by legislators at the Capitol,” she said. Faiza Abbas Mahamud is Associate Editor at Mshale having started as a Staff Reporter. She has a BA in Journalism and Women's Studies from Augsburg College. She is author of the documentary "Somali Women’s Education”. She is based in Minneapolis.